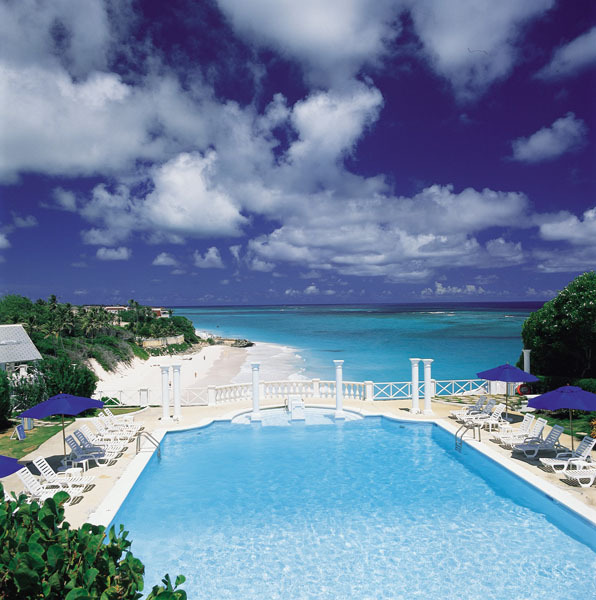 The Crane, set on forty acres of oceanfront land in the parish of St. Philip, on Barbados’ southeast coast, is the island’s oldest vacation resort. 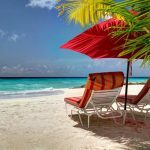 Conveniently located a mere six minutes east of Grantley Adams International Airport, the resort boasts a spectacular natural setting on a cliff overlooking the renowned Crane Beach, yet offers easy access to the rest of the island. Today, The Crane is comprised of the original historic hotel building, built in the late 1700’s and expanded in 1887 alongside a new, all-suite development. Since the mid-18th century, Southeastern Barbados was frequented by the island’s plantation owners and prosperous merchants. They were attracted by the cool breezes, stimulating climate and bathing in the waters recognized for their recuperative powers. The area’s main building was a mansion known as Marine Villa, which today exists almost in its original state and forms the east section of The Crane. The style of its windows and casements suggests it was built about 1790. In 1886, civil engineer Donald Simpson purchased Marine Villa and conceived of enlarging the house and opening it as a hotel. Simpson’s hotel venture was encouraged by development of the railway in 1881 to Sunbury, St. Philip from Bridgetown. 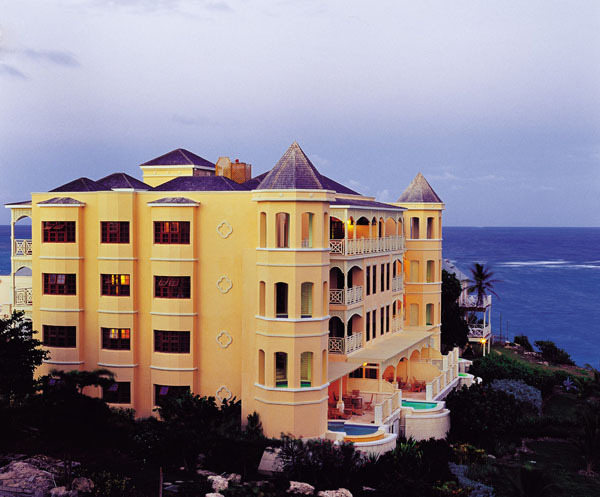 Simpson completed the first addition to Marine Villa with the addition of four coral stone apartments that comprise the south wing of the hotel. In 1988 the current owner of The Crane, Canadian Paul Doyle, bought the resort and has overseen its multi-million dollar expansion. Visitors to The Crane can book one of two different types of accommodations: 1887 Resort Apartments, housed in the original historic hotel, or one of the property’s new suites. The Crane’s original historic hotel is comprised of 18 charming, spacious oceanfront guestrooms and suites with 12-foot ceilings, hardwood floors, exquisite antique furniture, fully equipped kitchens and spectacular views of the rugged southeastern coastline. 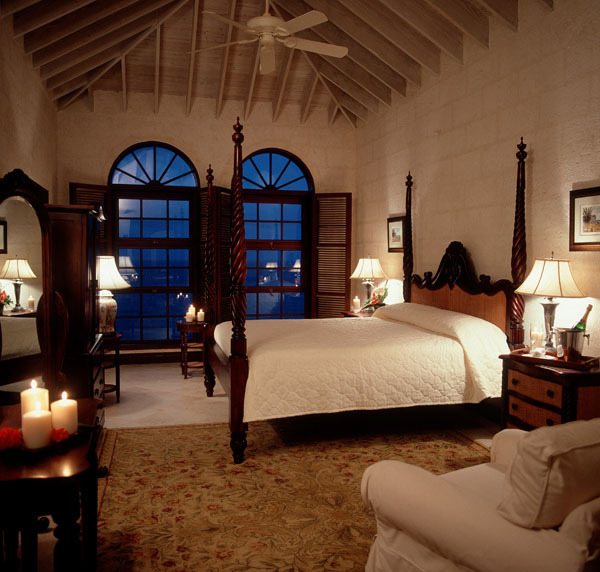 The rooms in this part of The Crane are steeped in the rich history of Barbados, with several featuring coral stone walls that are over 200 years old. Many of the rooms in the historic hotel also feature lavish mahogany four-poster king size beds, ceiling fans, or air-conditioning; while suites offer a semi-private sitting area and fold-out couches to sleep additional guests. The exquisite suites at The Crane, the first of which opened in the year 2001, offer resort guests a new standard of upscale vacation accommodations. By marrying nineteenth century grandeur and furnishings with twenty-first century luxuries, conveniences, and amenities, The Crane has created a level of exclusive resort living while retaining the grace and elegance of its historic past. Suites at The Crane boast the finest in furniture and finishes, including hand-crafted Barbadian mahogany furniture, objects d’art, oriental carpets and traditionally high four-poster king size beds. 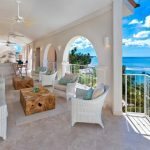 The setting, however, provides the true feel of the resort: old-world coral stone walls, hardwood floors, 10 foot high timber tray ceilings, floor-to-ceiling marble bathrooms and amazing views of The Crane’s crystal clear, turquoise waters. Each full suite also features bay windows with oiled cedar shutters, spa shower with multiple shower heads, jacuzzi bath, cable TV, DVD player and VCR; double door fridge with in-door icemaker, dishwasher, washer and dryer, and central air-conditioning from discretely hidden ducts. 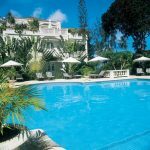 The world-renowned swimming pool at The Crane remains the centrepiece of this luxury resort, being set at the top of a cliff and framed by a row of classic Doric columns, overlooking the naturally spectacular Crane Beach. Guests of The Crane can also enjoy their own private pools; either a tower plunge pool or ground floor pool of up to 28 ft. in length, many possess an infinity edge, featuring breathtaking ocean views. Recently completed in winter 2007, The Crane opened the much-anticipated element of the expansion project — the pool complex. The new pool complex encompasses four individual pools with cascading waterfalls, meandering landscaping, soft lighting and alfresco hot tub. L’Azure Restaurant at The Crane serves a range of classic and Caribbean delicacies. Best known for its creations using fresh seafood, L’Azure has achieved several distinctions for fine cuisine. The atmosphere of L’Azure evokes elegance and beauty as patrons dine inside the original 115-year old coral stone walls of the dining room, or on the wrap-around balcony where the panoramic views of Crane Beach which provide a stunning backdrop for a romantic meal. On Sundays, the restaurant offers a Gospel breakfast in the morning featuring live entertainment by some of Barbados’ best gospel artistes; followed by a traditional Barbadian Sunday buffet lunch. Zen, a new dining experience debuted at The Crane in late 2005 and is celebrating its first decade, featuring classic Thai and Japanese cuisine in a stunning setting overlooking Crane Beach. Zen features traditional Tatami rooms, an exquisite sushi bar and the option for guests to enjoy private dining. 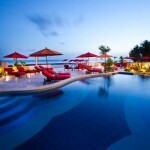 In 2009 and 2010, Zen achieved the distinction of being #1 Zagat-rated restaurant in Barbados. 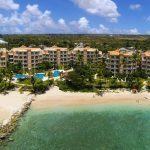 Many guests at The Crane visit simply to enjoy the resort’s natural beauty and tranquility — and therefore spend much of their time relaxing on Crane Beach, lounging in their private pools, or tanning at the several pools overlooking the ocean. 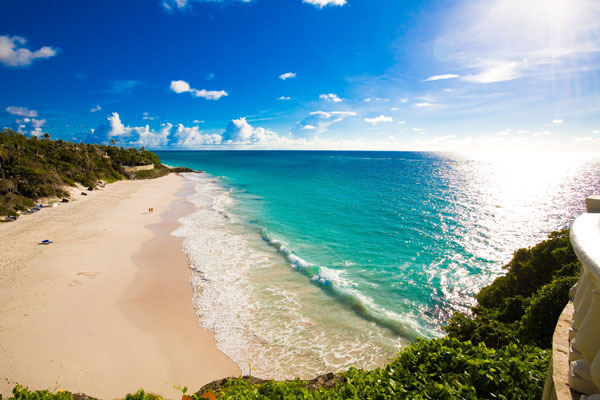 Nearby nature activities include the “Bat Cave,” a natural bat habitat within walking distance of the resort, and Hawksbill turtle watching, just south of The Crane at Foul Bay. For those who wish to have a little more activity during their stay, The Crane also offers a weekly catamaran cruise for guests in residence and can book a variety of additional activities, including deep sea fishing, island tours, golf or dinner theatre shows.